Proc. 25th General Meeting of the European Grassland Federation, 07 – 11 settembre 2014, Aberystwyth,Wales,UK, (ISBN: 978-0-9926940-1-2) 19, 668-670. Forage resources and ecosystem services provided by mountain and Mediterranean grasslands and rangelands, Options Mediterranéennes, 109, 297-300. FOOD CHEMISTRY 150, 49-57. (I.F. 2013 = 3.259). 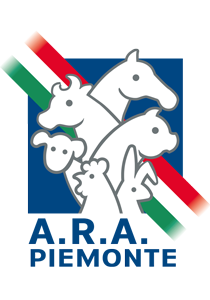 Pastoralism and ecosystem conservation, 5-7 June 2013, Trivero, Italy, pp. 27-30. ISBN 978-88-908636-2-2. Quaderni della Regione Piemonte, Anno XV, 75, 46-49. Proc. 10th International Meeting on Mountain Cheese, 14-15 Settembre 2011, Dronero (CN) Italy, 25-26. Proc. 16th Symposium of the European Grassland Federation, 29-31 agosto 2011, Grumpenstein, Austria, 16, 172-174. Quaderni della Regione Piemonte, Anno XIV, 67, 47-50. Proc. 2nd International Congress: Novel Technologies and Food Quality, Safety and Health, 27-29 aprile 2009, Girona, Spain, 128. Proc. 21th General Meeting of the European Grassland Federation, 3-6 aprile 2006, Badajoz, Spain, 11, 463-465. Quaderni della Regione Piemonte, Anno IX, 46, 29-32. Cheese Art – 6° International Meeting on Mountain Cheese, Ragusa. Atti I Simposio Italiano di Spettroscopia nel Vicino Infrarosso, 15-16 giugno 2004 Lodi, Istituto Sperimentale Caseario di Lodi, Italy. 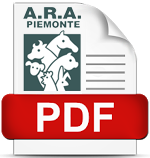 Quaderni della regione Piemonte – Agricoltura. Volume 8 (44) 28-30.